Experiential marketing offers an excellent vehicle for building relationships with customers. While emotional branding has been employed since a long time by marketers, evolving technologies and a growing appetite shown by customers for experiential connect has led to brands renewing their focus on experiential marketing. The authors discuss the experiential marketing ecosystem, detailing the various types of agencies and activities. The authors then present the Advertising Expenditure pie. In absence of an experiential component, the authors conducted their research to add the experiential component and present a revised Advertising Expenditure figure. The chapter then identifies Return on Investment (ROI) as the key challenge for assessing the success of an experiential activity. 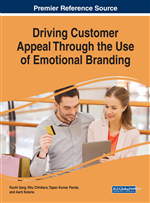 The authors develop a model for marketers to identify and connect with their customers through experiential initiatives. The authors conclude and present certain key developments in the area. The term “experiential” was coined by Alvin Tofler in his 1971 book, “Future Shock”. Joseph Pine II and James H. Gilmore expanded on this in 1998 in their book, “The Experience Economy”, coining the word “experience economy”. Experience marketing today is generally based on the concept of experience economy (Pine & Gilmore, 1998), which encompasses the most developed and theoretical discourse about experience marketing (Gilmore & Pine 2007; Pine & Gilmore, 1999; 2002). They established experiences as an important but largely unrecognized offering. Experience economy is also considered as a main underpinning for Customer Experience Management (CEM). Emotional significance created by a personal interaction of the consumer with the product or brand is defined as the experience (Holbrook & Hirschman, 1982). According to Schmitt (1999), experiential marketing is how to get customers to sense, feel, think, act, and relate with the company and brands. Experiential marketing creates an emotional attachment for customers, which is unlike traditional marketing efforts (McCole, 2004). The shift towards experiential marketing is because of developments in technology, which provide a two-way communication model (Schmitt, 1999).